Press secretary confirms time, place, of upcoming summit between US Pres. Trump and Russian Pres. Putin. 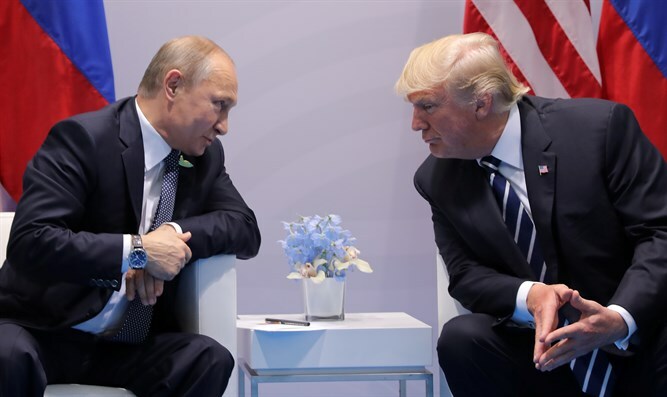 The upcoming summit between US President Donald Trump and Russian President Vladimir Putin will be held in Helsinki, Fox News reported Thursday. The Thursday report did not include the source's identity. In a statement, the US Press Secretary said, "President Donald J. Trump and President Vladimir Putin of the Russian Federation will meet on July 16, 2018, in Helsinki, Finland." "The two leaders will discuss relations between the United States and Russia and a range of national security issues." Among the issues Trump and Putin are expected to discuss are the conflicts in Syria and Ukraine, as well as North Korea.